A graded dial adds an effect of three-dimensionality to the watch, giving a flat dial a domed effect, or enhancing a dial that is already profiled. I would have thought that there would be more, but in actual fact there are not so many graded dial watches on the market. Here is a selection in ascending price order. The Presage Cocktail Time series is based on a partnership with Tokyo mixologist Shinobu Ishigaki, and it comprises 40mm three-hand watches, some with an extra complication, a power reserve indicator. It is powered by the mechanical Seiko 4R57 movement, self-winding, 3 Hertz, with 41 hours power reserve. 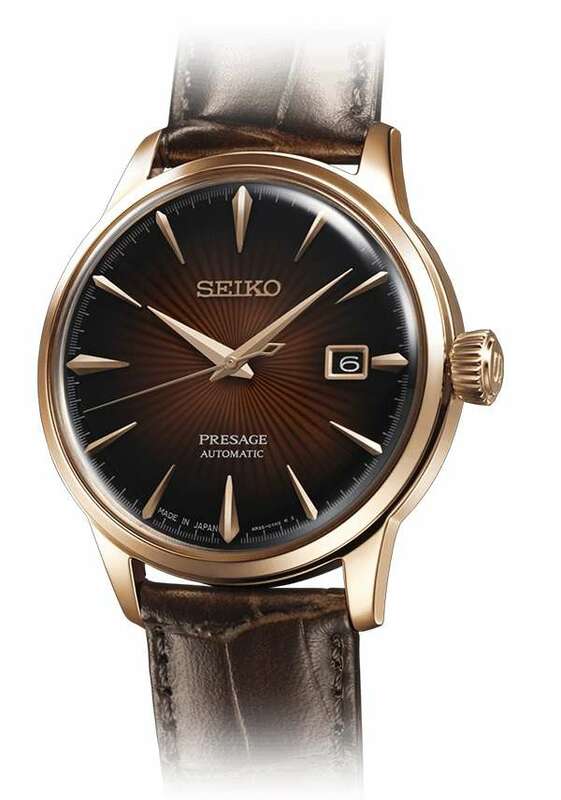 The Seiko Presage Cocktail Time Manhattan shown below has a particularly attractive colour. Price about €600. Read more here. 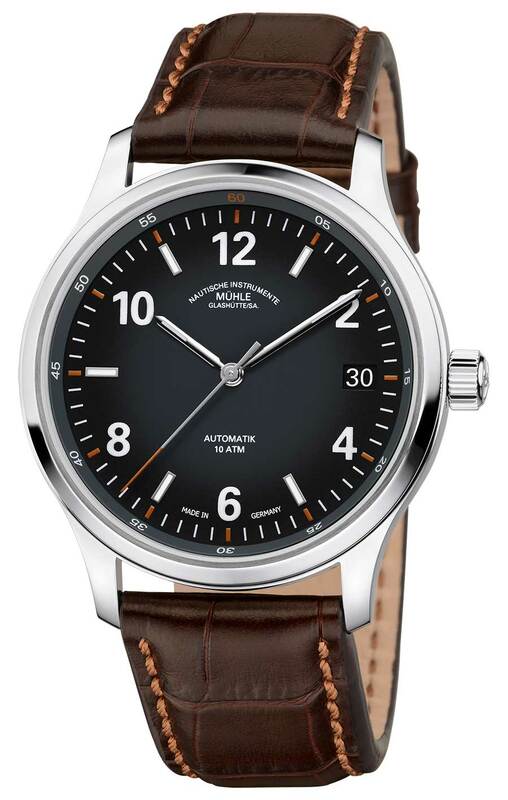 The Airman 46 Automatic 46 is different with respect to most degrade dial watches because the grading is not radial, but from top to bottom, evoking the effect of a night sky. 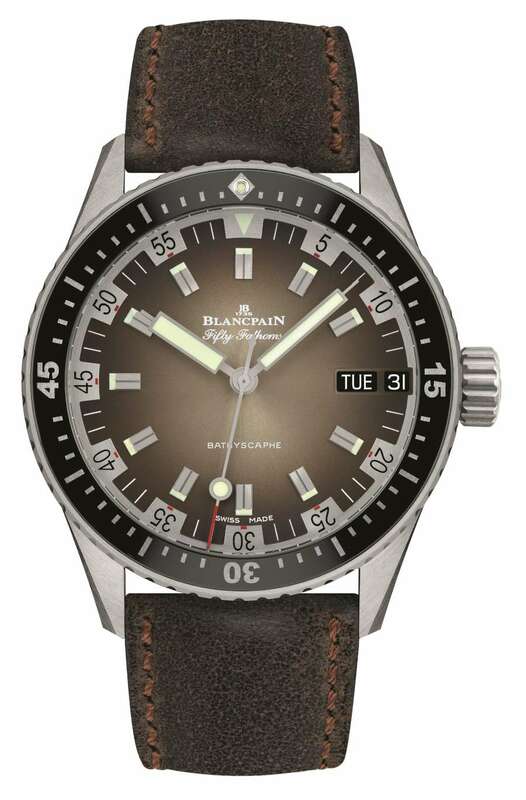 This large piece is a classic aviator watch with a 24-hour rotating bezel and another 24-hour scale on the dial, so that a pilot can see local time, GMT reference time and another time zone at a glance. The watch is powered by a Sellita self-winding movement. List price €1,490. Read more here. The Lunova Datum by Mühle-Glashütte combines sports performance – the watch has a 100 metre water resistance – a pilot’s watch appearance, and a touch of classicism with its slim case and graded dial. The watch has a Sellita self-winding movement that has been extensively modified by the brand. Price €1,750. Read more here. 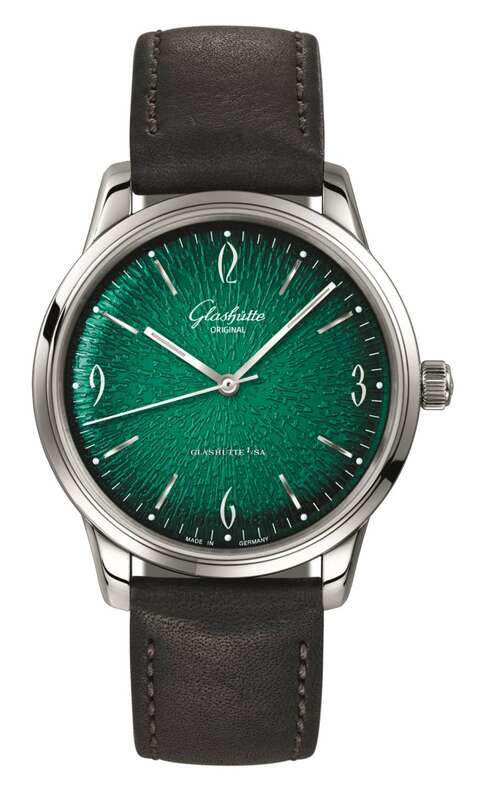 Glashütte Original have their own dial-making factory in Pforzheim, which produces the dials for the Sixties collection that features dégradé dials. This particular version also has a dewdrop effect which completely changes the appearance. The stylized numerals are based on versions of the Spezimatic made by the brand as it was in the 1960s, a state-controlled company named VEB Glashütter Uhrenbetriebe or simply GUB. This new piece is compact, 39 mm in diameter, slim at 9.4 mm, and it is powered by the self-winding in-house 39-47 movement. Price €6,300. Read more here. The Zenith Elite Chronograph Classic was first introduced in 2015 as the El Primero Chronograph Classic, and it was relaunched as the Zenith Elite Chronograph Classic in 2016 with a graded blue dial. Last year, this piece was introduced, with a graded brownish hue. It is a beautiful minimalist chronograph, 42 mm in diameter and slim at 11.8 mm, with subtle pushers, all characteristics that give it a dress watch feel. It has a sapphire caseback displaying the movement, which is still the original El Primero movement launched I 1970, but without date or hour counter. It runs at 5 Hertz, 36,000 vibrations per hour, and provides a 50-hour power reserve. All in all this is an exceptional 1950s style, a rarity amongst chronographs (slim, no date, dress watch appearance) with a legendary movement. 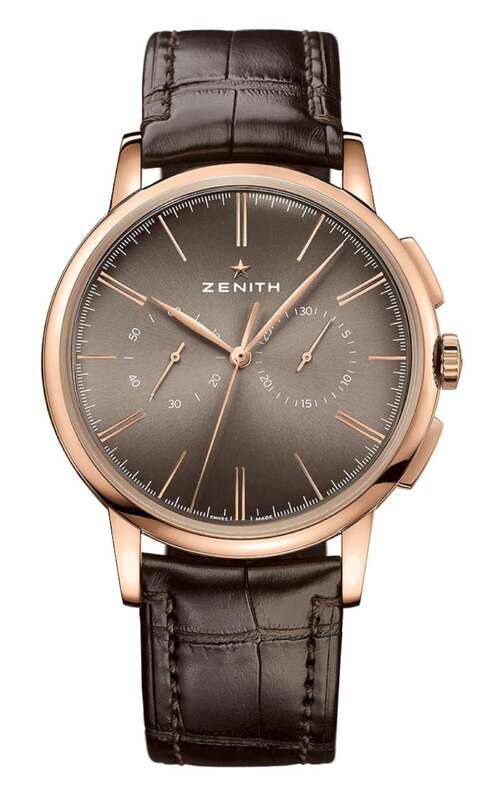 The version shown in the photo is in pink gold, but it is also available in steel at €6,900. More at the Zenith website. 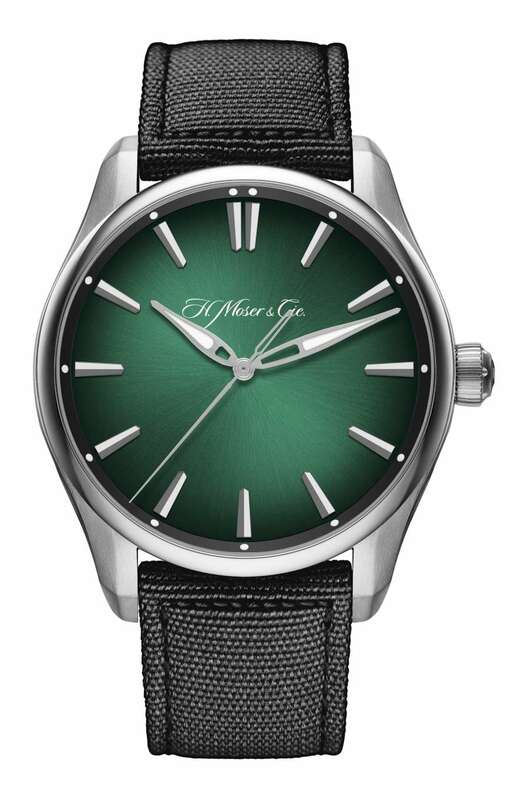 H. Moser is a brand that has made dégradé dials an important part of its identity. The Pioneer Centre Seconds has now acquired a new colour, cosmic green, and it is a sports watch, with a 120-metre water resistance, a screw-down crown and a textile strap. It has an in-house movement, HMC 200,which is self-winding and has a 72 hour power reserve. Price €11,350. Read more here. 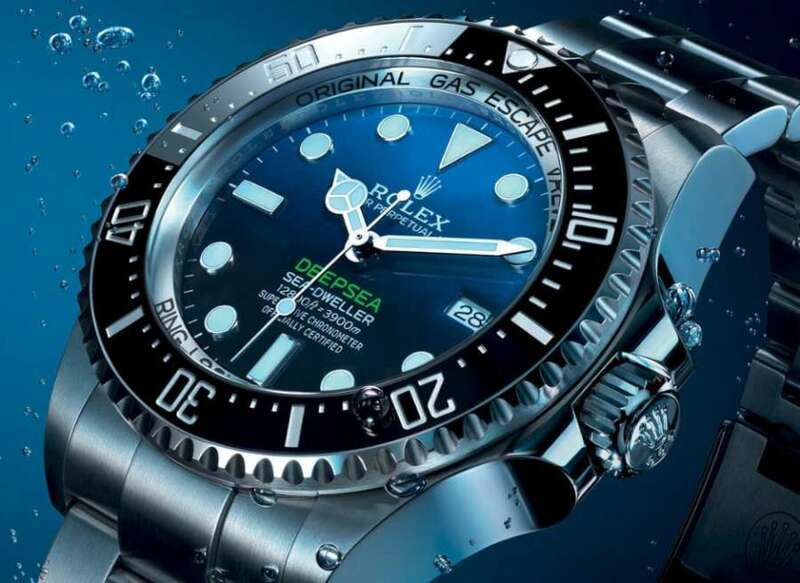 One of the new Rolex watches presented in 20118, the Oyster Perpetual Deepsea is a professional diver’s watch, and it evokes the depths of the ocean with its dégradé dial shaded from midnight blue to black. It has a water resistance of 3,900 metres, and a helium escape valve. It is powered by the Perpetual 3235 movement, which incorporates Rolex’s impressive in-house technology to give it exceptional precision, stability, reliability and anti-magnetic properties. Price €11,700. Read more on the Rolex website. 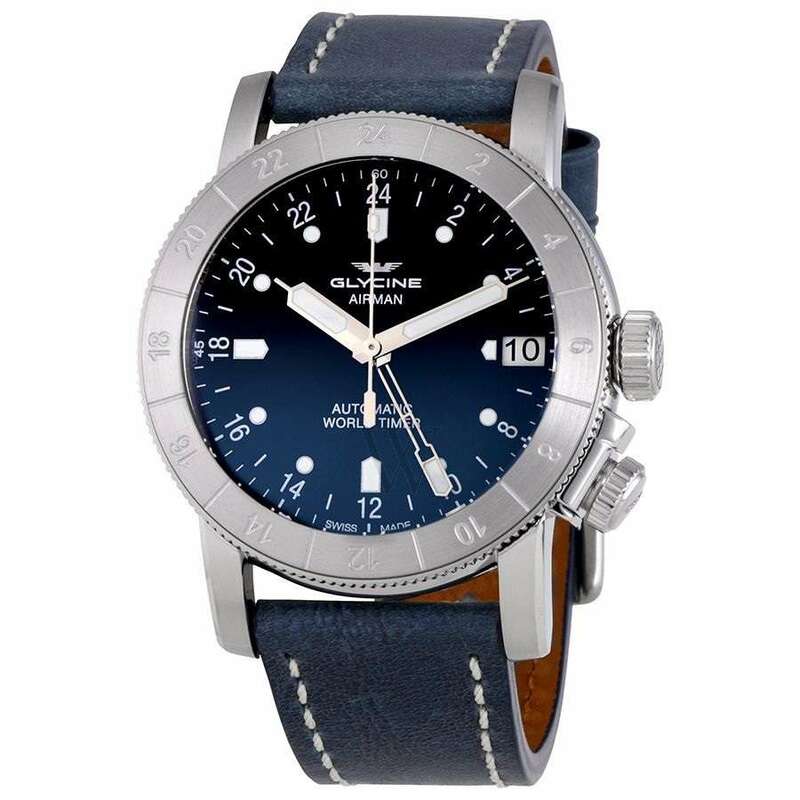 The brownish graded dial and the distressed leather strap gives the Fifty Fathoms Bathyscaphe Day Date 70s a vintage look based on a model introduced in that decade. It is a large watch, 43 mm in diameter and 14.25 mm thick, with diving-watch water resistance, 300 metres. The 1315DD calibre can be seen through the display caseback. The watch is a limited edition of 500 pieces, available from August 2018, price €12,000. Read more here. 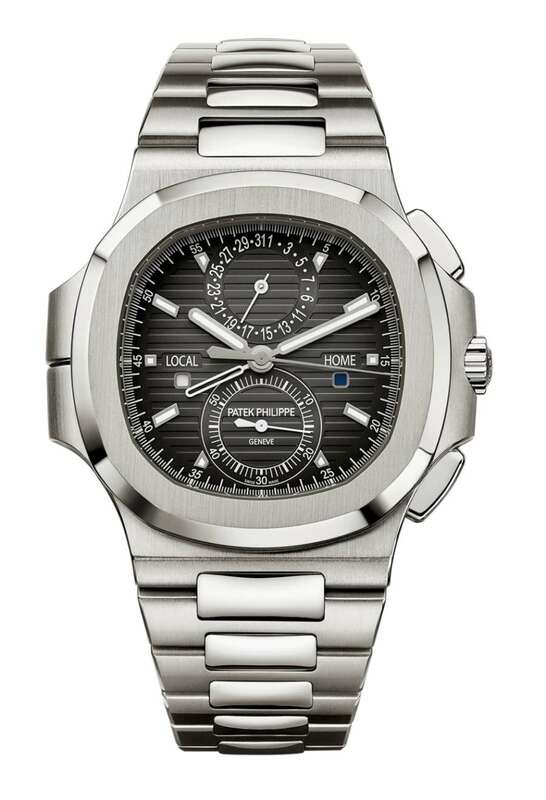 In addition to the graded dial, the Nautilus Travel Time Chronograph by Patek Philippe packs a lot of functionality into its 40.5-millimetre case. With a water resistance of 120 metres, it is the perfect sport watch. The chronograph has the central sweep second hand and a 60-minute counter at 6 o’clock, and a subdial for the date at 12 o’clock. A dual time zone function indicates local and home time, with a skeletonized home time hand that is hidden under the luminous local time hour hand when the user decides not to use the GMT function, and day/night indicators for both local and home times. Pushers on the case at 8 and 10 o’clock can be used to adjust the local time hand in either direction, in one-hour steps. The watch is powered by Calibre CH 28-520 C FUS, whose column-wheel architecture enables the chronograph to be left running indefinitely in order to use the chronograph seconds hand as an ordinary seconds hand. Price €49,160. 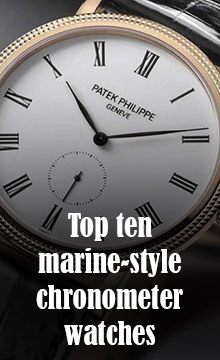 Read more on the Patek Philippe website.